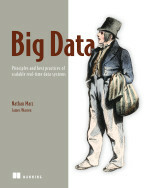 The author, Alex Holmes, has been working with Hadoop for more than six years and is a software engineer, author, speaker, and blogger specializing in large-scale Hadoop projects. One book cannot possibly cover everything you need to know about Hadoop, MapReduce, Parquet, Kafka, Camus, YARN and other technologies. And this book and its software examples assume that you have some experience with Java, XML and JSON. 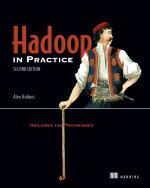 Yet Hadoop in Practice, Second Edition gives a very good and reasonably deep overview, spanning such major categories as background and fundamentals, data logistics, Big Data patterns, and moving beyond MapReduce. PostgreSQL is both a powerful open source database system and a very flexible application platform. “PostgreSQL allows you to write stored procedures and functions in several programming languages, and the architecture allows you the flexibility to support more languages,” this book’s two authors point out. By the way, users of PostgreSQL 8.3 or older need to upgrade ASAP, Regina Obe and Leo Hsu urge. Release 8.3 “will be reaching end-of-life in early 2013,” making support increasingly difficult and expensive.